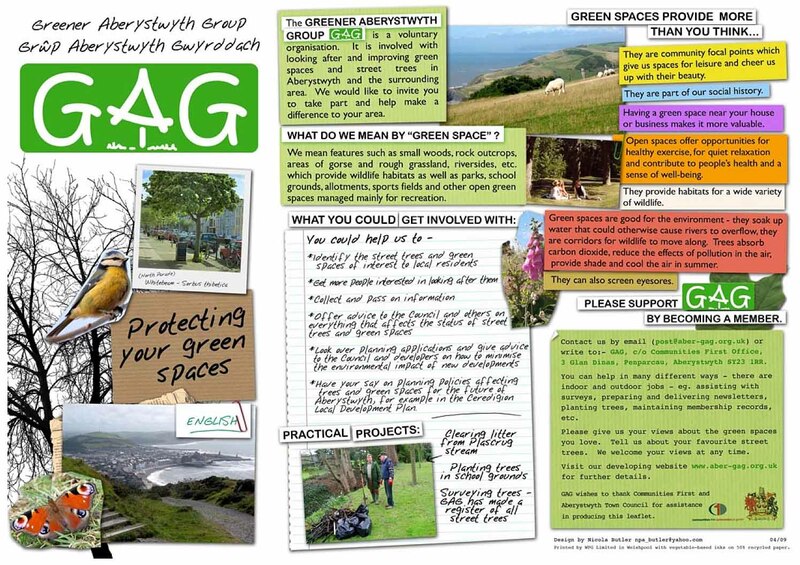 - To promote the conservation and management of accessible green spaces and street trees in and around Aberystwyth as valued amenities for the community. - To achieve its objectives by promoting and carrying out surveys, scrutinising planning applications and monitoring other relevant developments, organising voluntary work groups, collecting and disseminating information, producing interpretative material, raising funds, offering advice and making recommendations, and liaising with organisations owning, or with responsibility for, the green spaces of the area. - The Group must be non-political, in the sense of avoiding Party politics. It should not seek to impose its recommendations on the local community. It is primarily an investigative and advisory organisation, but it may, if reasonably supported by the community, be representative of its declared aims. For more information about us, read the constitution. To keep up with our activities, please read/download our Newsletter (see News page). 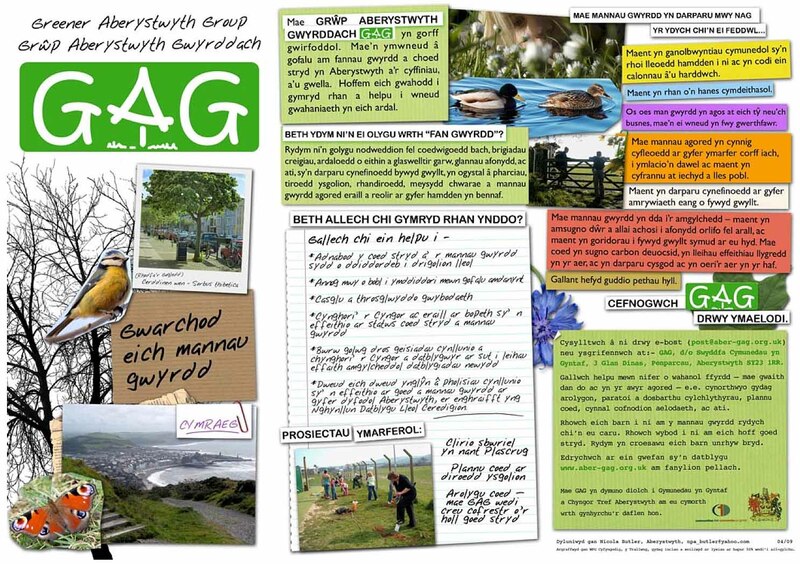 Also our leaflet, which is available on paper or can be read here: Leaflet in English or Leaflet in Welsh. Here are 15 Powerpoint slides which show some of the things which GAG has done so far. To view them without having to scroll sideways, your screen display should be set to 1280x800 pixels or more.